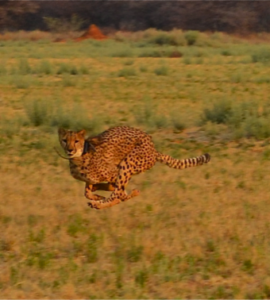 We recently enjoyed an overnight stay at CCF Namibia. 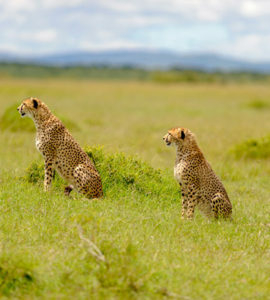 Being cheetah fans and supporters of the cause to save them, spending time at the centre was the realization of a dream. 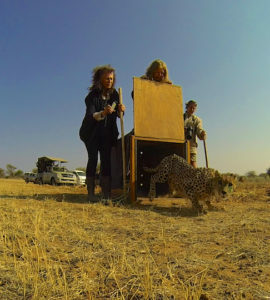 It was also a pleasure and a privilege that helped us understand the true meaning of “seeing conservation in action”. 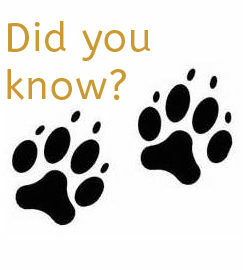 The centre, the people who work there, the lodging, all the activities that take place fit perfectly in the whole concept of conservation. 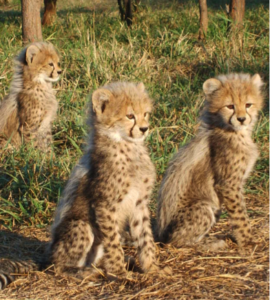 We met amazing, knowledgeable and friendly staff that are passionate about the cheetahs and willing to share the knowledge and experience they have in caring for those magnificent and endangered creatures. 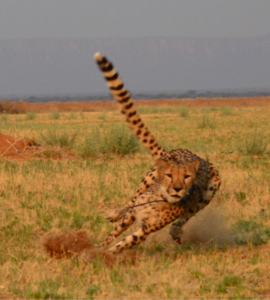 We participated in incredible activities such as the cheetah run, cheetah drive, feeding the cheetahs and seeing them closer Behind the Scenes, which made us even more aware of how powerful yet vulnerable the cheetahs are and how important it is to support CCF’s work to save them from extinction by helping the communities and ecosystems where they live. 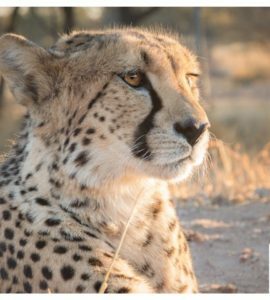 The Cheetah View Lodge is a beautiful and comfortable place with a stunning view of the Waterberg Plateau, where one feels so close to the wild yet perfectly safe. 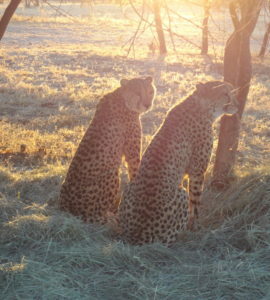 To watch the sunset and sunrise from the verandah, surrounded by the sounds of nature, enjoy delicious food prepared by the talented chef, meeting the people who make these conservation programs possible is a fantastic experience that we highly recommend to anyone who cares for our planet, for the cheetahs and plans to visit Namibia.